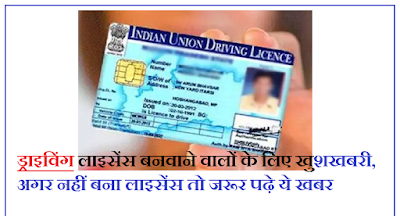 State Transport Department has started an online system for learning driving license. Now no person needs to push for a driving test track for a Learning Driving License, they can also get the license online from anywhere. With this, the public will not get trapped in the agitation of the agents and will be relieved in the long lines on the track. Co-ordinator Gagan Pazani, ADTO, who came from the Head Office of the Transport Department. After three years, the three persons who came on the track track by Bhupinder Singh and Clerk Pawan Kumar got online learning license for the Learning Driving License, and some time later they were given a learning License. ADTO Bhupinder Singh and Co-ordinator Gagan Pazni told that online arrangements for learning driving licenses have been started in four districts of Mohali, Bathinda, Fatehgarh Sahib and Patiala in Punjab and soon the online system will be implemented in the entire state. . He said that any applicant can apply the Learning License by visiting the Department's Transportation website, providing a tab test on his computer or mobile that meets the terms and conditions. He said that the process of getting a permanent driving license will be started online from the Transport Department soon. 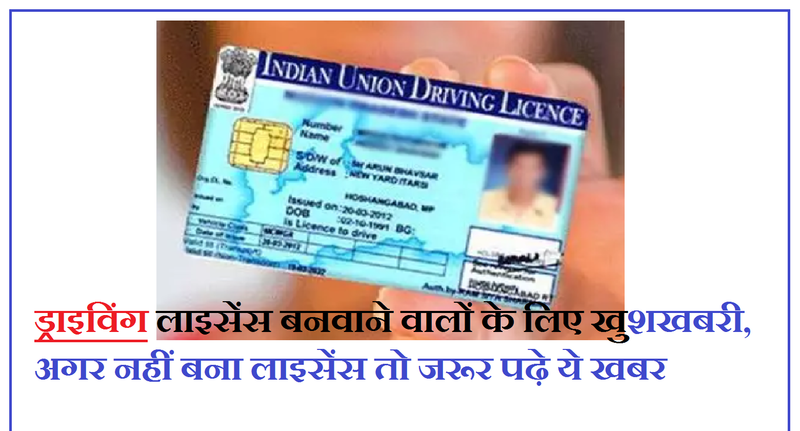 0 Response to "Good News: for those who have made Driving Licenses, if not made license, then read this news"